Three factors distinguish leading workplaces committed to supporting flexible work practices. 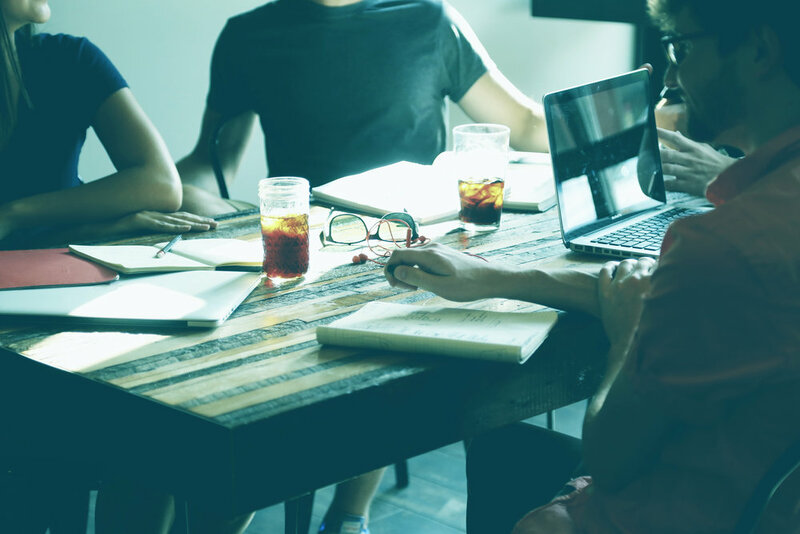 Many companies are working hard to normalise flexible working, as more and more Australians use technology to work in an agile and innovative way. Telstra, PwC, Origin Energy, and ANZ among others promote ‘all roles flex’ to shake long-held assumptions that jobs need to be full-time and based at an office or company site. Numerous research studies show a markedly positive impact on productivity and employee engagement when companies offer flexible work arrangements. An IBM Survey of 675 CIOs and IT managers of large enterprises across multiple industries in Australia, China, India, Japan, the United Kingdom and the United States found that on average, those taking action to create a more flexible workplace reported 20%+ improvements in productivity and cost saving. Employees are more likely to recommend their company as a place to work when they work in companies where flexible work practices are widely used. For companies that are developing or refreshing their approach to flexible work arrangements, we've found a few key principles make a big difference to acceptance and utilisation of flexibility among the hundreds of client firms we've supported on their diversity journey. 1. ‘Flexibility’ is defined broadly. It extends to how, when, and where employees work. Arrangements include formal options such as job-sharing or part-time work, changes to start and finish times. Arrangements also include informal, ad-hoc flexibility - usually the most requested type of flexibility - to meet short term needs, and most of these are agreed verbally or via email between the employee and their manager. 2. Decisions are made on a case-by-case basis taking into consideration the needs of the business, the team, and any potential impact to clients/customers. Some roles, by the inherent nature of their tasks, lend themselves to less flexibility. That said, leading firms encourage managers to carefully consider all requests as part of a ‘can-do’ flexibility mind-set, and provide ‘reasonable business grounds’ for any requests declined. In a number of companies, managers who intend to decline requests have to seek approval from Human Resources – an ‘if not, why not’ measure that challenges traditional (albeit surprisingly resilient) assumptions that flexibility is ‘too complicated’ or will ‘set a precedent where everyone will want it’. 3. Decisions are ‘reason neutral’. This important principle recognises employees have different needs at different times in their lives. Some need flexibility to juggle caring responsibilities, others may want flexibility to pursue a hobby or additional study, for example. The ‘reason-neutral’ approach also tackles the prevailing bias that flexibility is okay for working mothers, but less so for fathers. While the percentage of fathers using flexible working hours to look after young children has nearly doubled to 30 per cent since 1996), men are twice as likely as women to have requests for flexible hours rejected. A Bain & Co/Chief Executive Women study of more than 1,000 employees across Australian workplaces last year found approximately 60% of men are working, have or want to work flexibly, but there’s still a lack of senior support. There are many other principles adopted by leading firms outline in our ‘Guiding Principles for effective flexible work practices’. Please email us if you’d like a copy. Diversity Partners has developed comprehensive toolkits that cover guiding principles, tip sheets, and a four-step framework guiding managers and employees through the process of applying for, and reviewing, flexible work arrangements. We draw on best practices, and customise the toolkits to your business. We also facilitate 'Making Flexibility Work for Everyone' workshops to help organisations entrench flexible working successfully. We'd love to hear from you if you'd like to talk through your organisation's flexibility strategy, education or policies. In 2017, Diversity Partners undertook 20 diagnostic and strategy engagements to set the course for action to achieve more diverse and inclusive workplaces in Australia and New Zealand. These engagements have been for a range of organisations, including top ASX firms, local subsidiaries of global firms, public sector agencies, and emergency services providers. Setting the course for diversity and inclusion progress needs a methodical approach. We've also reviewed the talent management policies for a number of organisations to reduce the potential for unconscious bias and diversify talent pools. Here we share five insights from our experiences in co-developing strategies with clients this year. Developing a diversity and inclusion strategy is an opportunity to clearly articulate how the selected actions will advance organisational priorities, align with values and behaviours, meet customer needs, and help create the cultural change we all want to see in workplaces. Among leading organisations, the outcomes typically go beyond achieving certain demographic targets (e.g. percentage of women in leadership) to meaningful measures correlating levels of inclusion with innovation and productivity metrics. For example, resources giant BHP has quantified the benefits, finding that 'our most diverse sites outperform the company average on many measures, such as lower injury rates, and greater adherence to work plans and production targets,' according to CEO Andrew Mackenzie. A robust D & I strategy is not an easily templated strategy. It's a carefully considered plan that addresses specific organisational challenges and biases, demographic gaps, and policy shortfalls. Governance matters. It might seem simplistic, but it's really important to spell out who has responsibility for what, including the role of a diversity steering committee if one exists. Being realistic about plans for year one, two, and three keeps the momentum going. Linking internal efforts with external efforts (e.g. corporate social responsibility initiatives) helps stakeholders to make deeper connections about the value of diversity and inclusion. "We started our journey by engaging Diversity Partners to research challenges and opportunities for us. Their research was extremely thorough, drawing on inputs from hundreds of team members and a range of data points relating to recruitment, retention, flexibility usage, and promotion. From this, we worked with Diversity Partners to develop a comprehensive action plan. This has been an exemplary partnership and we acknowledge the commitment, professionalism and passion of the team who worked closely with us, our ‘friends’ on this journey." With the ever-growing focus on diversity and inclusion in the community and in workplaces comes a responsibility to set well-crafted, commercially-savvy strategies with tangible actions and accountability to drive progress. That's a responsibility we take very seriously at Diversity Partners. Please contact us at info@diversitypartners.com.au if you'd like to discuss ways we can work with you to advance your organisation's diversity and inclusion efforts in 2018. How important is inclusive leadership to effective leadership and business performance? When we’re asked this question, we encourage people to think of an inclusive leader they know. Think of the most inclusive leader you’ve worked with – what were the special qualities that had a positive impact on you, your team and the broader organisation? What’s typically recalled is how supportive the leader was, their openness to new ideas and different perspectives, their openness of themselves, and their consistent focus on results. The common thread in these stories is leaders who've helped people feel valued for their differences and created a sense of belonging in the team. For them, diversity – of background and thinking - was not a threat, but an advantage. Many of these leaders have actively sponsored people from diverse backgrounds and with different thinking approaches, typically drawing on their personal understanding of deep-seated challenges facing those who don't fit the dominant leadership stereotype in Australia. These characteristics have again been reinforced to us following extensive interviews and focus groups we’ve been conducting with employees of a top ASX organisation to understand the positive practices and behaviours that support women and employees from culturally diverse backgrounds. How are you actively promoting difference – whether that’s in approaches to work (e.g. flexibility), employee backgrounds, thinking approaches? How are you actively encouraging the careers of individuals from diverse backgrounds (e.g. providing stretch assignments, 'nudging' to put themselves forward for promotion)? How are you role-modelling your support (e.g. leaving the office ‘loudly’ for personal or family reasons to reduce the stigma associated with flexible hours)? We want to stress these aren’t just ‘nice to do’ behaviours of diversity and inclusion champions; they are critical to leadership effectiveness, backed up by global research. McKinsey says these core leadership behaviours will be relevant to most companies today, particularly on the front line. And they’re integrally linked with the qualities expected of inclusive leaders. The more that inclusive leadership is integrated with leadership curriculums, we start to see and appreciate the positive impact that diversity and inclusion can have on organisational culture, employee engagement, innovation and overall performance. Diversity Partners offers a range of Inclusive Leadership programs by facilitators with extensive experience in leadership development, diversity and inclusion. We offer awareness sessions, skill-building programs, and individual coaching. Contact us at info@diversitypartners.com.au for more information. The McKinsey research was based on surveys with 189,000 leaders in 81 diverse organisations. McKinsey found that leaders in organizations with high-quality leadership teams typically displayed 4 of the 20 distinct leadership traits surveyed. Leading and sustaining a successful and ethical business can be a complex game. For some, this can be all the more (seemingly) complex when you bring together people with different backgrounds and perspectives. However, we now know that well-managed diverse teams lead to greater business benefits, innovation and creativity. Where some are still connecting the dots is in understanding the positive impact of diverse teams and inclusive behaviours on ethical decision-making and corporate governance. Several studies have shown that diversity on boards and in teams brings fresh thinking, increased focus on problem solving, and greater transparency. As companies plan leadership curriculums for 2018, we think a significant focus on the value of diversity (of background and thinking approaches) in ethical decision-making and problem-solving is warranted. It's important for leaders to understand the value of diversity (of background and thinking approaches) in ethical decision-making. People with different backgrounds bring new information, but what really counts is the dynamics of diverse teams when making decisions. In a seminal article published in Scientific American, Professor Katherine Phillips from Columbia Business School writes that 'interacting with individuals who are different forces group members to prepare better, to anticipate alternative viewpoints and to expect that reaching consensus will take effort'. 'When we hear dissent from someone who is different to us, it provokes more thought than when it comes from someone who looks like us,' she says. It's these behavioural dynamics that drive ethical successes and failures, argues Dennis Gentilin, author of The Origins of Ethical Failures and publicly named ‘whistleblower’ in the FX trading scandal that rocked the National Australia Bank in 2004. ‘If we surround ourselves with challenging views and create an environment where others feel they can ‘speak up’ then we avoid going down the slippery slope of ethical failure,’ according to Gentilin. Unfortunately, sometimes it takes a crisis for organisations to fully understand and appreciate the contribution of good diversity and inclusion practices to ethical resilience. In 2011, one year after the Gulf of Mexico oil spill, I joined a global facilitation team for BP’s newly formed Diversity & Inclusion Academy. As a result of this crisis, and following a range of independent studies on the situation, it became clear that decision-making biases (particularly confirmation bias) and the lack of a safety ‘speak up’ culture were among contributing factors to the disaster. BP subsequently focused on leadership education so that all employees act with greater awareness of core values such as safety, respect and courage, and have awareness and skills to challenge unconscious biases. Although we’re all susceptible to forces that make us ignore risks, leaders at all levels of an organisation can take steps that will encourage diversity of thought and potentially reduce ethical risk. 1. Develop your awareness of cognitive biases. Psychologists and behavioural economists have highlighted many biases that impair our ability to make objective and effective decisions. We all have biases, but we’re often not aware of them playing out in our minds. Unconscious bias training gives leaders an opportunity to understand how easily our decisions are impacted at work by affinity bias (our natural tendency to gravitate towards ‘people like us’), confirmation bias (our tendency to seek out information that confirms our beliefs and ignore conflicting evidence), and groupthink (where pressure for unanimity overwhelms realistic appraisal of alternative courses of action). 2. Give teams explicit permission to disagree with you. While seeking feedback from others is essential, some leaders go further by appointing a ‘devil’s advocate’ in meetings to encourage multiple perspectives and normalise challenge. One CEO we know routinely tells colleagues that ‘you have an obligation to disagree with me’. 3. Engage team members from outside of your regular circle. Inclusive leaders make a concerted effort to understand the experiences of people who are not part of their tight-knit ‘in-group’ and who may feel (unintentionally) excluded from some key decisions. Simple things such as where you hold meetings and who gets invited to them can make a difference. Decision making experts emphasise the importance of hearing from people who are ‘cognitively peripheral’ – who have information that is not generally known – rather than having discussions disproportionately influenced by people who are ‘cognitively central’ – who have knowledge that is shared by many members of the group. Or, as one global organisation advises its leaders, every group needs to ‘hear from the quietest person in the room’. An earlier version of this article appeared in Leadership Matters, the newsletter of the Institute of Managers and Leaders for Australia and New Zealand in 2016. If you'd like more information about this topic, or any other resources to help progress diversity and inclusion in your firm, please email us at info@diversitypartners.com.au. While unconscious bias training gets a lot of focus as a way to advance diversity and inclusion, it’s important to remember the most effective approach is a tailored and comprehensive one that doesn’t just focus on changing mindsets. Working from the premise that ‘it’s easier to change your processes than your people', Iris Bohnet from Harvard Kennedy School encourages companies to redesign their processes to prevent biased choices and encourage greater diversity in the first place. That’s why, in our consulting work, we focus on both hard-wiring diversity and inclusion principles through re-designing organisational processes, and soft-wiring through leadership programs and education. In our consulting work we focus on both hard-wiring diversity and inclusion principles through re-designing organisational processes, and soft-wiring through leadership programs and education. We often review recruitment, succession planning, and promotion policies and outcomes to determine whether unconscious biases are impacting decisions. We revise job descriptions and advertisements to ensure they have a mix of words typically associated with male and female characteristics, to attract a diverse talent pool. We also work with clients to develop diversity goals and dashboards to track the objectives they set out to achieve. Adapting site facilities and re-designing processes to anticipate greater diversity. Photo: Getty Images. A good example of the combined approach to process and mindset change comes from one of our clients – the project division of a global resources firm with whom we’ve partnered over the past year. This is an organisation seriously committed to increasing diversity and improving inclusion across all sites. A working group of business representatives drive the initiative, with the team meeting weekly (virtually, across a number of continents) to share challenges and progress. Each meeting starts with a safety share, and an inclusion and diversity share. Developing new infrastructure guidelines to design more inclusive mine/project site facilities. The guidelines for upgrading or designing new facilities build on the simple notion that ‘you can’t be what you can’t see’ – in other words, adapt our facilities now to anticipate greater diversity. The guidelines include facilities to improve gender inclusion, accessibility, and spaces to support employees to meet diverse religious, cultural and spiritual needs. Provisions for flexible working arrangements are there too. These inclusive design principles will be familiar to those working in financial and professional services firms, but they’re far less common in traditional resources or manufacturing organisations in Australia. In fact, they remain challenging concepts for many, given the historically male-dominated Anglo workforces. Along with these tangible changes, leaders have taken part in education programs to build inclusive leadership capability and reduce bias - the soft-wiring that's part of building awareness and driving behavioural change. The progress that's already occurring across this operation is evidence of the value of a mix of initiatives, tailored to the organisation’s specific challenges. We're reminded of the advice from global consulting firm McKinsey on diversity and inclusion: ‘There is no single way to make change happen; companies need a whole ecosystem of measures’. Katie Spearritt is CEO of Diversity Partners. For more information on our services, please contact us at info@diversitypartners.com.au. Where someone behaves in a stereotype-inconsistent way, they will be less likely to be hired or promoted. Iris Bohnet points to the well-known example of behavioural re-design when orchestras started having musicians audition behind a curtain, making gender invisible. This simple change helped to increase the fraction of women in US orchestras from less than 10 per cent in the 1970s to almost 40 per cent today. Interview with Iris Bohnet by Gardiner Morse, 'Designing a Bias-Free Organisation', Harvard Business Review, July/August 2016. The project management profession has accelerated its focus on diversity of thinking approaches and background to maximise the performance of project teams. Having worked closely for the past year with the Projects Division of a global resources company, Dr Katie Spearritt provided her comments on how the profession can benefit from greater diversity in Project Manager, the membership magazine for the Australian Institute of Project Managers. Last week's publication of the memo ‘Google’s Ideological Echo Chamber’ ignited widespread discussion about diversity of thought, political correctness, and the value of diversity in general. We loved seeing the wide range of views being shared and debated. As Diversity and Inclusion consultants, we welcome any opportunity to have an open and honest conversation about diversity - that's the core premise of all of our programs and coaching work. We always ask that conversation be respectful, evidence-based, and reflective of company values such as integrity and inclusion. That's important because we know many people hold strong personal views on the topic - after all, diversity and inclusion is a topic that affects all of us. At the heart of last week’s debate is an important question: how do we communicate effectively with people whose views are fundamentally different from, and at odds, with our own? Sharing personal views about diversity via an internal memo is one way to have your voice heard, but there are many other ways to do this within an organisation. Facilitated team discussions or workshops, for example, can yield opportunities for discussion, debate, and learning about diversity and inclusion in a respectful way. This allows employees to build their knowledge and understanding by listening to each other, as well as from investigating a range of research studies. Aside from ‘how’ the google memo author chose to share his views, there’s the ‘what’. It’s likely we’ll hear a lot more about the memo and subsequent events: already on Wikipedia you'll find a good summary of the diverse reactions to the memo from well-known ethicists, scientists, and psychologists, among others. There's no doubt more and more global organisations recognise the benefits of greater demographic and cognitive diversity in the workplace. Decision-making is more robust and new ideas are generated when there's a considered approach to gaining multiple perspectives and utilising different thinking approaches. The strong pull of groupthink, affinity and confirmation bias can lead to echo-chambers, and it’s up to all of us in workplaces to be alert to those risks. This includes the risk of pro - D & I echo chambers. That's why it's more important than ever to explore diversity (of thinking and background) through respectful conversations, drawing on education and research that recognises the unconscious biases we all have - and which can easily muddy our decisions and perspectives. *This blog benefited from lots of discussion within our own team this week: I'd particularly like to acknowledge inputs from Duncan Smith and Leith Mitchell. If you're keen to learn more about translating diversity of thinking into practice, you'll find some tips in this interview by Peoplecorp's Tim Henry with Dr Katie Spearritt. Innovation is underpinned by team diversity and inclusive workplace practices. That's the conclusion of a great deal of research across the fields of leadership, business psychology, and human resources in recent years. The variety of perspectives and thinking approaches that diverse teams bring to decision-making helps to reduce biases such as groupthink - one of the biggest barriers to innovation. The theory is being translated into practice in many Australian and New Zealand companies, as more and more leaders see the value of diversity of thinking and background for innovation. For example, the CEO of an industry fund recently contacted us to explore how bias might be getting in the way of effective decision-making and innovation among his team. His team was gender balanced and culturally diverse, and he appreciated the different perspectives that brought. But he wanted to go further, to identify their preferred approaches so they could consciously bring different perspectives to decision-making as they launched new products and expanded their market. For companies wanting to understand more about the links between innovation and diversity (both cognitive and demographic), we've found the following studies particularly useful. You can click on the links to see the full articles, or contact us for more information. “Diversity and innovation move together, and the relationship is statistically significant - meaning that there is a high probability of its repeating in any large population of companies” (BCG: ‘The Mix that Matters – Innovation Through Diversity’, 2017). In a strategy execution exercise, researchers found teams with greater cognitive diversity perform faster. Diversity in knowledge processing (how people create knowledge in the face of problems) and perspective (how they deploy their own expertise versus orchestrating the ideas and expertise of others) were highly correlated with team success. (Alison Reynolds and David Lewis, 'Teams solve problems faster when they're more cognitively diverse', Harvard Business Review, 2017. Employees who felt more included were more likely to report innovating on the job i.e. identifying opportunities for new products and processes and trying out new ideas and approaches to problems (Catalyst: ‘Inclusive Leadership the View from 6 Countries’, 2014). A study in the United States of the performance of 1,500 companies over 15 years found that more women in top management improved the performance of firms that were heavily focused on innovation (Catalyst: ‘Why Diversity Matters’, 2013). “The ideas and solutions that an intellectually diverse team generates will be richer and more valuable due to the wide variety of perspectives that inform them. Diversity of thought and perspective can protect your team from groupthink and can spark creative abrasion, a process in which potential solutions are generated, explored, and altered through debate and discourse” (Harvard Business Review: ‘Measure Your Team’s Intellectual Diversity’, 21 May 2015). When measuring how diversity affects a firm’s ability to innovate, researchers reported significant benefits from both inherent diversity (such as gender, culture) and acquired diversity (traits gained from experience). They referred to companies whose leaders exhibit at least three inherent and three acquired diversity traits as having two-dimensional diversity. Their conclusion: companies with 2-D diversity out-innovate and out-perform others. 'Employees at two-dimensional companies are 45% likelier to report that their firm’s market share grew over the previous year and 70% likelier to report that the firm captured a new market.' (Sylvia Ann Hewlett et all, ‘How diversity can drive innovation’, Harvard Business Review, December 2013 - How Diversity Drives Innovation). Many of us have probably experienced a thoughtless action at work such as not being introduced in a meeting, being left off an email distribution list, or others taking credit for our work. By itself, this might seem inconsequential. But when this happens consistently over time - like a leaky tap - it can leave those on the receiving end feeling isolated and excluded. It was Professor Mary Rowe of Massachusetts Institute of Technology who coined the term ‘micro-inequities’ in the 1970s to describe small and often unintentional unfairnesses toward those who are perceived as different. Micro-inequities are often the result of unconscious bias or not understanding cultural differences. They're subtle but erode confidence, explains Australian scientist Dr Jill Rathborne on micro-inequities in the male-dominated world of science for example. We all need to be aware, consciously, of these on a day-to-day basis if we’re to create inclusive workplaces of the future. The good news is that there are many relatively simple things we can do to reduce unconscious bias and micro-inequities. Mary Rowe called these ‘micro-affirmations’: ‘tiny acts of opening doors to opportunity, gestures of inclusion and caring, and graceful acts of listening’. It might seem obvious, but the impact of these inclusive actions on individuals and team cultures in our workplaces can be very significant. They help everyone feel a greater sense of belonging and reduce unconscious bias. Here's ten inclusive actions (drawing on research and discussions in our leadership workshops) that can make a positive difference to everyday interactions, meetings, and decision-making. 1. Acknowledge people when you pass them in the office, especially those not part of your ‘in-group’. 2. Ask for permission before calling someone by a nickname (and think about who has a nickname and who doesn’t). 3. Ask for the correct pronunciation of an unfamiliar name – make an effort to get it right. 4. Be mindful that small talk at the start of a meeting may leave some feeling excluded - make an effort to invite everyone into the conversation. 5. Introduce all people in a meeting with equal level of acknowledgement. 6. In your team meetings, appoint a devil’s advocate (and make sure to rotate this role) to reduce groupthink. 7. Be especially attentive to virtual team members who dial into meetings. 8. Consider when and where a meeting should be held and who is invited, to maximise diversity of thought and perspective. 9. Next time you’re making a key decision, actively seek out multiple perspectives (especially those different to your own) to avoid confirmation and sunflower bias. 10. Use different communication channels to receive input on a project or idea - some team members will be more comfortable providing a follow up email or direct phone call rather than speaking out in a team meeting. These tips, and many others, are explored in our Inclusive Leadership: Challenging Unconscious Bias workshop for leaders and employees. We'd love to share more with you - please contact us for a chat. D & I moments are a simple but effective way of creating a structured space for safe conversations and questions about diversity, inclusion and flexibility. There’s substantial research showing diversity and inclusion (D & I) progress is best achieved through a strategic, systemic change effort that incorporates a mix of targeted solutions. More and more we are seeing D & I change efforts follow the path of safety programs that have, for years, used rigorous change methodologies and reporting to increase safety and wellbeing. Pleasingly, across the private and public sectors in Australia and New Zealand where we work, many leading organisations have detailed strategies, governance mechanisms, targets, diversity dashboards and education programs to create diversity progress. Leadership and accountability – typically through a leadership council, leader KPIs, and employee working groups. A strategic roadmap for 3 – 4 years and a clear business case linking the organisation’s performance objectives to diversity and inclusion efforts. Agreed metrics, diversity dashboard and regular reporting rhythm to key stakeholders. When we partner with clients to help build inclusion and diversity strategies and governance frameworks, we enjoy sharing some of the techniques drawn from change management and safety approaches that positively impact workplace cultures. For example, we’ve seen first hand how a simple technique to create safety awareness works equally well to raise diversity awareness. You may be familiar with the ‘safety moment’ - a short opportunity for sharing a safety-related topic at the beginning of every meeting or shift. At one global resources client we work with, diversity sub-committee meetings (via teleconference, with people from around the world) always start with a safety moment, then a D & I moment. The D & I moments often cover personal stories such as stereotypes noticed or challenged, a new, flexible work arrangement, or a reflection on language that inadvertently excluded. Sometimes the safety and diversity stories overlap, adding to the impact and learning. It’s a simple but effective way of creating a structured space for safe conversations and questions about diversity, inclusion and flexibility. We'd be interested to hear your experiences - successes or challenges - in setting D & I strategies, and particularly practical tips to sustain implementation momentum, so we can all continue to build inclusive work cultures. When organisations first contact us, some have a clear idea of the challenges they’re trying to address, such as a lack of cultural diversity or gender balance at leadership levels, or concerning levels of inclusion reported through engagement surveys. What are less clear are the reasons behind these challenges, and how best to drive progress. That’s why we recommend a ‘discovery’ process that identifies the cultural and structural barriers getting in the way of diversity progress and overall firm performance. Organisations can then push forward confidently with a bespoke diversity and inclusion strategy and action plans. The research we undertake for many clients includes a detailed analysis of existing policies, current demographics, external benchmarking, together with employee views captured through interviews and focus groups. We draw on global benchmarks and local industry knowledge to recommend appropriate solutions. Recent diagnostics have taken us from mine sites to boardrooms around Australia. We’ve interviewed CEO’s, senior managers, paramedics, IT specialists, engineers, meteorologists, digital media entrepreneurs, among others, to provide an assessment of diversity challenges and opportunities. It’s particularly interesting when diversity opportunities aren’t immediately obvious to our clients. Here’s a few examples where opportunities highlighted had an immediate impact on service delivery, product design and employee engagement. A global financial services firm realised their marketing programs didn't adequately reflect the needs of their increasingly diverse consumer segments. Another diagnostic highlighted an overwhelming need from employees for education about engaging with different cultural groups in the community so they could provide more targeted and culturally-sensitive services. One organisation discovered that managers wanted much greater guidance and tools to effectively lead flexible teams. In another firm, the diagnostic showed a significant difference between employee perceptions of biases and leadership views of how the firm was tracking on diversity. Employees were strongly concerned about perceived in-action by leadership. A global financial services firm recognised their marketing programs didn't adequately reflect the needs of diverse consumer segments. Photo license: Getty Images. If you’re wondering what initiatives will best progress your diversity and inclusion objectives, going back to the fundamentals of ‘what are we trying to achieve’ and ‘what problems are we trying to address’ is often the best step to achieve targeted and effective solutions. Cultural intelligence programs to build the cross-cultural communications and capability of employees in the transport sector. There's a lot to celebrate on International Women's Day, and it's uplifting to hear so many positive stories shared across social media today. We applaud the inspirational women and men supporting change in their workplaces and feel privileged to work with leaders genuinely committed to making a diversity difference day-in, day-out. But we're also mindful of the progress yet to be made. Here's ten tips we often share to help organisations 'be bold for change' and achieve gender diversity progress. We encourage you to share them in your organisation as a contribution to IWD. Develop a diversity dashboard (showing agreed metrics) that's monitored by the CEO. These tips (and many others) are part of our research contribution to a milestone report on inclusion and diversity in the urban water sector, launched today as part of IWD celebrations. We always love hearing your feedback - join us on twitter (@DiversityLinks)and share how you're making a #diversitydifference in your organisation. When the CEO of a rapidly expanding Australian organisation recently approached our firm to help improve the quality of decision-making among his team and direct reports, we recognised a turning point in how firms approach diversity. The CEO recognised that, in addition to building a team with individuals from demographically diverse backgrounds, it was important for the organisation to be alert to groupthink and other biases that might derail their expansion and diversification plans. Another senior leader shared that actively inviting alternative or dissenting views is an inclusive leadership behaviour she now prioritises (albeit a challenging one, given the strength of affinity and confirmation bias). It's heartening to talk with leaders like this who genuinely recognise that a combined focus on diversity of thinking approaches and background (such as gender, culture, age) drive engagement, innovation and growth. This broader focus on inclusive leadership capability and diversity is part of a strategic re-framing that’s gaining traction in progressive firms in Australia. Where once a ‘good’ diversity program may have meant some targeted gender diversity initiatives, many organisations now have comprehensive diversity and inclusion (D & I) strategies led by the CEO. Having a C-suite executive dedicated to leading the D & I program is the one common element that marks organisations where diversity is not seen as a barrier to progression, according to PwC's latest global diversity & inclusion survey (2016). · Governance mechanisms to sustain momentum - the shape of these will differ depending on the stage of the journey your organisation is at. While it’s common to think a step-by-step focus is best – that is, deciding to focus on achieving gender diversity first, followed by other typical dimensions – it’s rarely that linear and simple. Indeed, that approach can be counter-productive and miss some key opportunities to engage widely with this topic. Like any major change program, making progress on diversity and inclusion takes time and comprehensive strategic intervention. Having worked in D & I leadership roles in organisations for more than a decade, I'm familiar with the day-to-day challenges - accessing resources and budget, engaging senior leaders, competing priorities, sometimes just knowing how and where to start - that require a significant degree of patience, support and persistence on the part of D & I practitioners. But if the outcome is an environment where people feel a stronger sense of belonging and can bring their whole selves to work, we think it's an investment worth making. Dr Katie Spearritt spoke at the Annual Conference of the Actuaries Institute in Melbourne in November 2016 on why diversity is important to meet the industry's challenges and opportunities for the future. She emphasised the value of understanding the impact of unconscious bias on decision-making, particularly in professions that rely on seeming objectivity and statistical analysis. Just over three per cent of partners in law firms and 1.6 per cent of barristers have Asian backgrounds, according to research by the Asian Australian Lawyers Association (AALA). 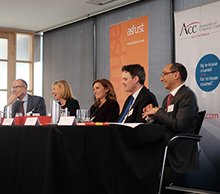 To address the challenge of a bamboo ceiling in the profession, Dr Katie Spearritt recently joined a panel discussion hosted by AALA and the Association of Corporate Counsel (Australia) that included the Hon Robin Scott MP, Victoria’s Minister for Multicultural Affairs. Spearritt shared some of the types of unconscious biases in law firms that limit them from making the most of the benefits of diversity – of cultural background, gender, age, and other dimensions. She emphasised the importance of decisive and coordinated action to challenge some of the Western-centric models of leadership that prevail in law firms and Australian businesses generally. The Law Institute Journal recently featured a number of articles about the importance of cultural diversity for the legal profession and tips for doing business with clients from different cultures. These tips and insights are relevant to all leaders.